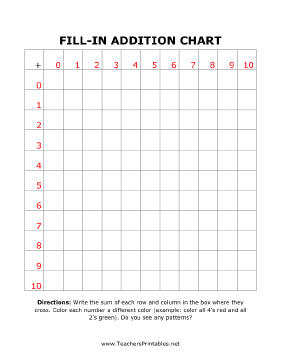 The numbers 0 through 10 are provided in one row and one column in this free, printable math worksheet grid. Students must add every pair of numbers together and fill in the sums. It is a great tool for teaching addition.